An exciting outcome of the Art and Photography Exhibitions at the Bruny Island Bird Festival in 2012 is the compilation of a cross-arts manuscript that includes poetry, compiled by Anne Morgan and Vicki King. I’m pleased to have three of my poems included, with beautiful illustrations by participating artists, Hana Han, Sandra Rofe and Bob Jager. 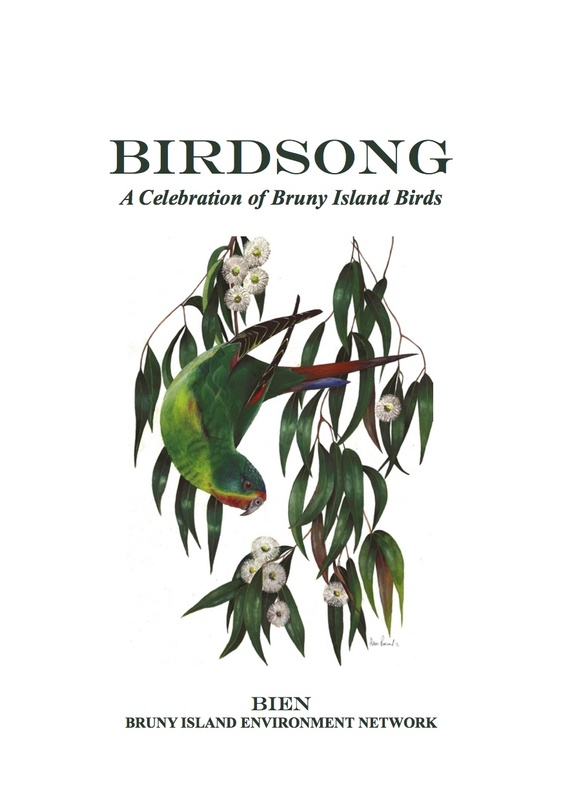 Profits from sales of Birdsong will fund bird conservation and environmental education activities through the Bruny Island Environmental Network. BIEN is inviting sponsorship to cover publication costs. If you would like to be involved in supporting this worthwhile venture take a look at the packages on offer. Each sponsor will receive a personally signed print of one of Bob Brown’s beautiful bird photographs. You could also win one of three Sponsors’ Draw Prizes: First prize is a framed, signed print of one of Bob Brown’s bird photographs, Tarkine Swans Taking Flight. This entry was posted in All posts and tagged Anne Morgan, Birds, Bob Brown, Bob Jager., Bruny Island Bird, Bruny Island Environmental Network, nature poetry, Sandra Rofe, tasmanian writers, Vicki King. Bookmark the permalink.